Now 25 years later, Black Enterprise has named Birmingham-Byrd one of the Most Powerful Women in Corporate America. People who have worked with Birmingham-Byrd at Duke Energy, where she is senior vice president of supply chain and chief procurement officer, are not surprised. 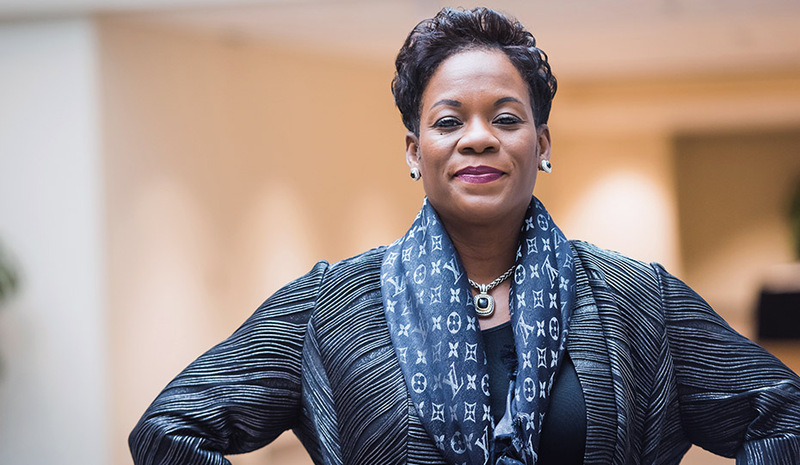 Birmingham-Byrd credits her mother’s example for her journey, which began in 1994 when she was a new manufacturing logistics supervisor who didn’t know any better than to park her foreign-made Toyota Celica in the parking lot of an American car factory. During her childhood, her mother and father were assembly line workers at a bicycle manufacturer in Chicago. Birmingham-Byrd remembers her mother returning home after work, exhausted by the long hours and frustrated by what she considered unfair treatment in the workplace. “Hearing about the many challenges that my parents had with work conditions and what they considered to be unfair treatment in the workplace, I wanted to be a part of something to make it better,” Birmingham-Byrd said. Birmingham-Byrd volunteering at a Martin Luther King Day of Service event in Indiana. She wanted to be the kind of supervisor she felt her parents deserved. Her mother and father had both moved to Chicago in the 1950s, during the second Great Migration north to escape segregation in the South. Birmingham-Byrd was the youngest of seven children. After graduating from high school, she worked summers and juggled jobs each semester to pay her way through Purdue University. She earned a degree in organizational leadership, after changing her major from accounting. Two years ago, while she was president of Indiana operations, Duke Energy gave the Food-Finders Food Bank a grant to buy and distribute food to needy families in Lafayette, Ind. Birmingham-Byrd volunteered for the project and revealed that during college, she had turned to the nonprofit for help. Melody Birmingham-Byrd and Duke Energy teammates, from left, Larry Burnside, Mark Teague, Patti Saunders and Faith Young. Tears welled in her eyes as she talked recently about how she had come full circle. 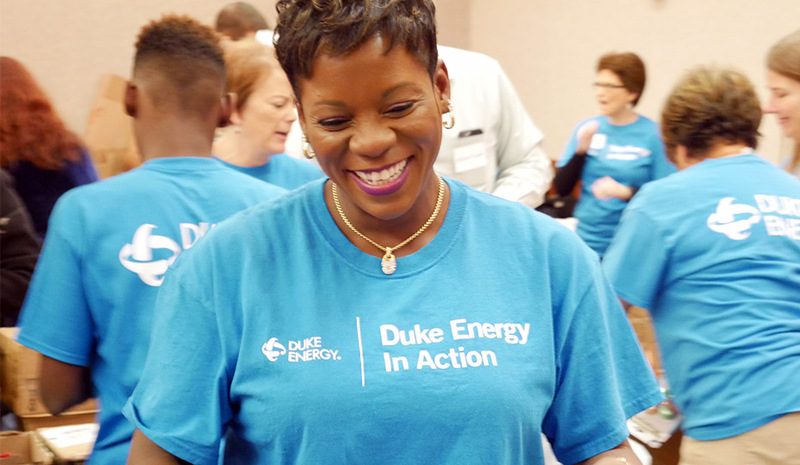 Although Birmingham-Byrd said she loved working for Duke Energy in Indiana – “I had such an amazing and dedicated team in Indiana” – she accepted the new challenge in Supply Chain. She now oversees an organization responsible for $12 billion in annual supply chain managed spending, performed by roughly 900 employees across seven states. Her team supports six distribution centers, 481 inventory storerooms and executes about 430,000 purchase transactions annually, 1.24 million material issues and 218,000 material receipts. 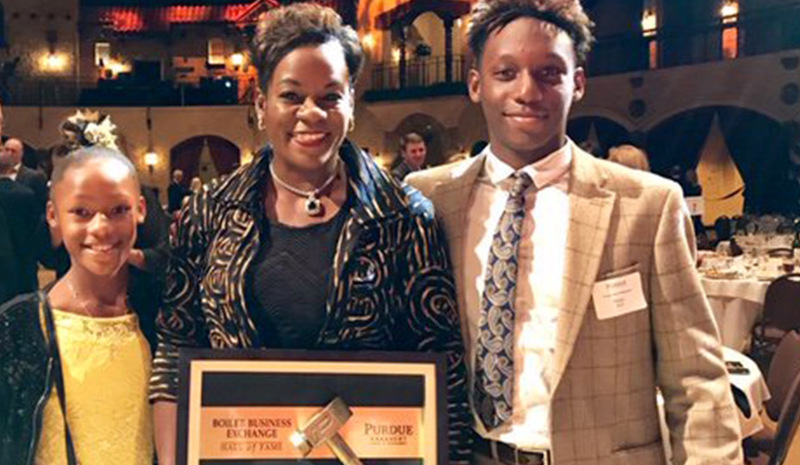 Melody Birmingham-Byrd and her children at the the Purdue University Boiler Business Hall of Fame ceremony. Before she accepted the job, she discussed the move with her children. Her son is 14; her daughter, eight. She had warned them they might one day leave Indiana, and she said they supported her decision. Gone is the power suit, the heels, the makeup. Mom wears jeans and flip-flops. Her own mother is now 83. Asked whether she is proud of her daughter’s accomplishments, Birmingham-Byrd explained that her mother adheres to the scriptural mandate that pride is a sin. When Birmingham-Byrd left General Motors, the union workers she supervised showered her with dozens of hand-written thank-you cards – which she still treasures, along with other mementos, in a box of memories. At the time, Birmingham-Byrd showed the cards to her mother, and although her mother didn’t say anything, she smiled. Twenty-five years later, she’s still smiling. Career: Senior vice president of supply chain and chief procurement officer, Duke Energy. President, Duke Energy Indiana, June 2015-November 2018. Other roles include senior vice president of Midwest Delivery Operations for Duke Energy; regional vice president of the Southern Region for Progress Energy Carolina. Honors: Purdue University’s Boiler Business Hall of Fame, Touchstone Award by Girls Inc.; honorary doctorate of humane letters, Saint Mary-of-the-Woods College, 2016. 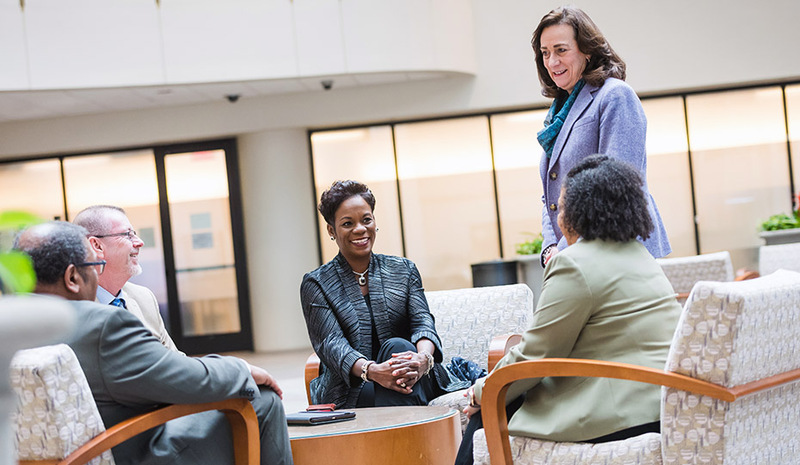 Quote: “Melody always made time for one-on-one contact with mentees, taking time to coach and counsel people of color (and those who are not), sharing her personal examples of how she has maneuvered through the industry and yet remained resilient while pursuing her dream.” – Marvin Blade, Duke Energy vice president for community relations in Indiana.